stress. 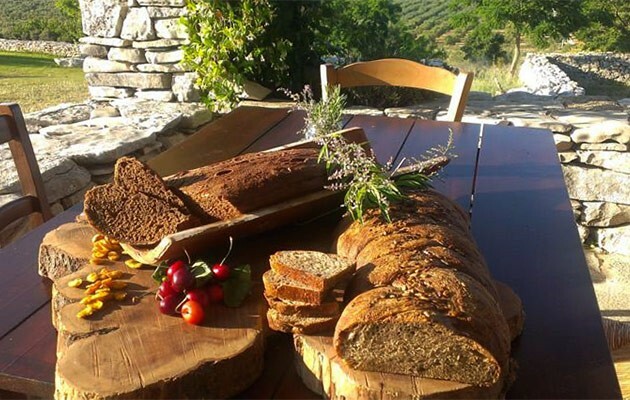 Everything in the Biomasseria is eco-friendly, starting from food, all strictly organic. 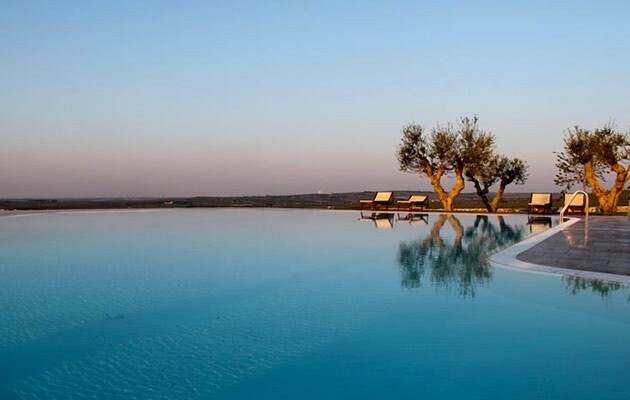 This makes it ideal for both couples and families, and it’s extremely safe for children which will certainly treasure this experience in the real nature of Puglia. 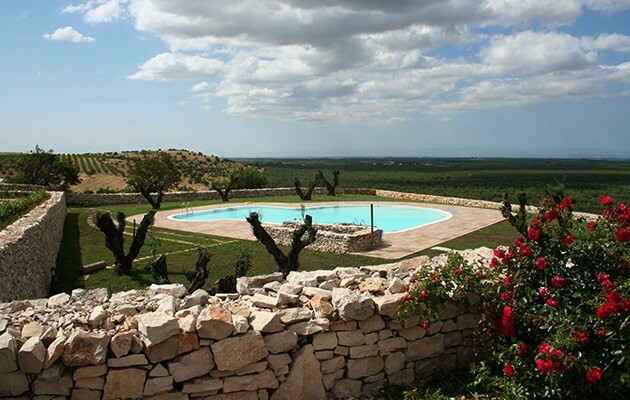 Facing the Adriatic side, Lama di Luna Biomasseria is 300 metres above sea level, in La Murgia, a sub-region of Apulia in the province of Andria. 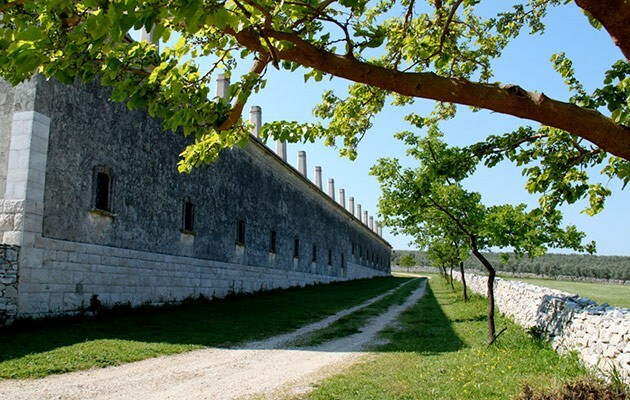 The amazing natural frame of Montegrosso surrounds the biobuilding which is situated not far from typical restaurant, archaeological area, various castle and the fantastic beaches of Apulia. 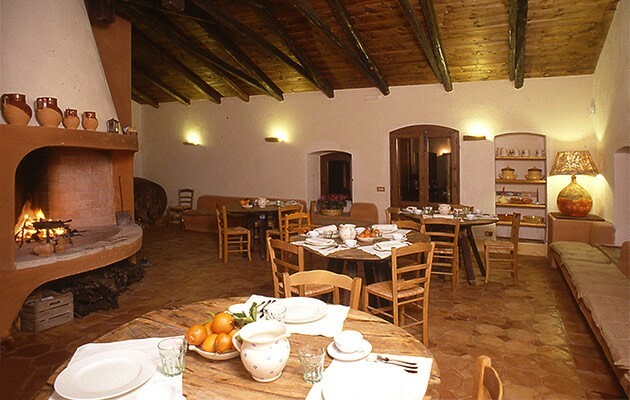 Lama di Luna Biomaseria is a XVIII century farmhouse, once inhabited by farmers and share-croppers. 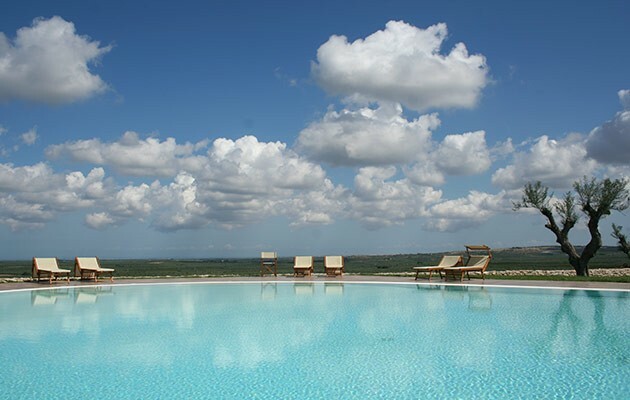 Respecting the original structure and the landscape, Lama di Luna is totally restructured with techniques of bio-architecture and feng shui, which combine the strength of natural energy with the charm and elegance of ancient time. 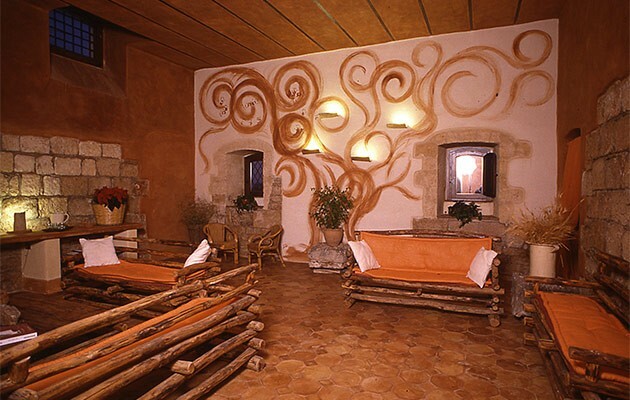 In the total respect of great rural building tradition, Lama di Luna is characterized by red or yellow clay, "exposed stone" technique and antique bricks. 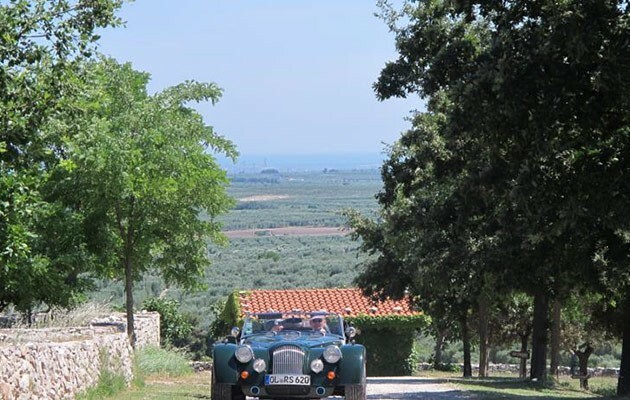 The rooms are spacious and bright, surrounded by 190 hectares of vineyards, olive groves and a varied Mediterranean vegetation, all biologically cultivated. 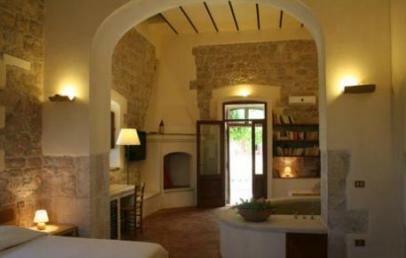 The forty chimney-spot, the Trulli and the cave of Lama di Luna tell ancient stories and offer you a lovely and relax stay in Apulia. 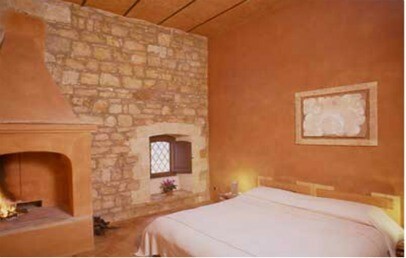 Lama di Luna has 11 rooms in total, once the old residence of the farmers. Spacious and bright, they look on the farmyard and all have a fireplace. 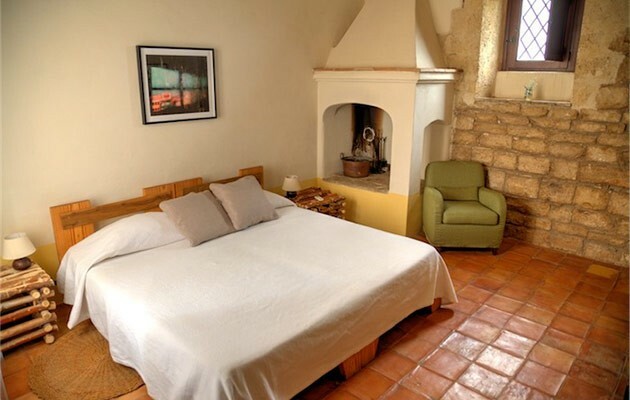 Beds are northern placed with natural latex mattress and unbleached cotton sheets. All the sharps edges have been replaced with rounded edges and the hotel offers to the guests olive-oil soap. The rooms are provide with warm water and heating thanks to 48 solar panels. 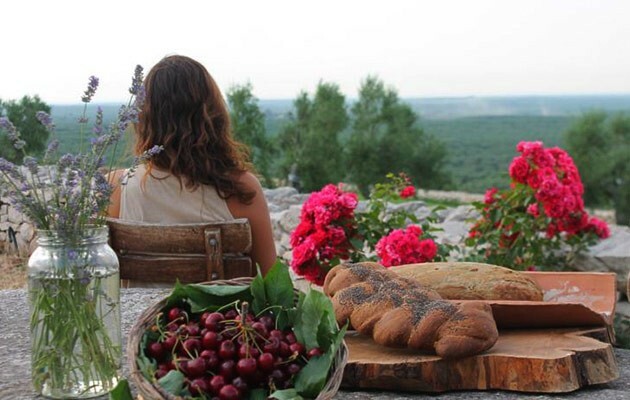 On the panoramic veranda, the guests can have breakfast with jams and cakes, bruschette and yogurt, cheeses and fruits. 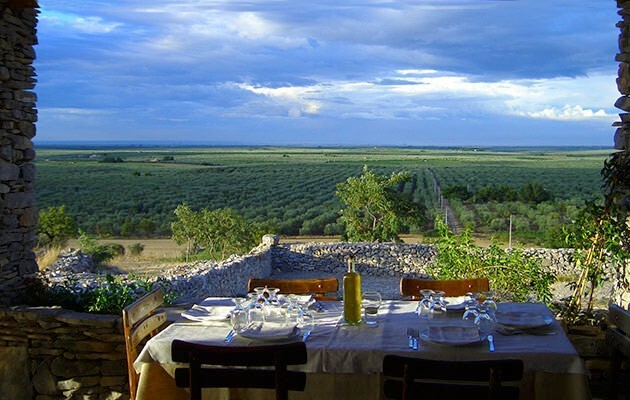 The dinner is served at the restaurant or on the veranda with 4 courses and are prepared with fresh, local and seasonal products of Lama di Luna. The supplement for the dinner is € 35 per personne, including water. Lunch is served à la carte. 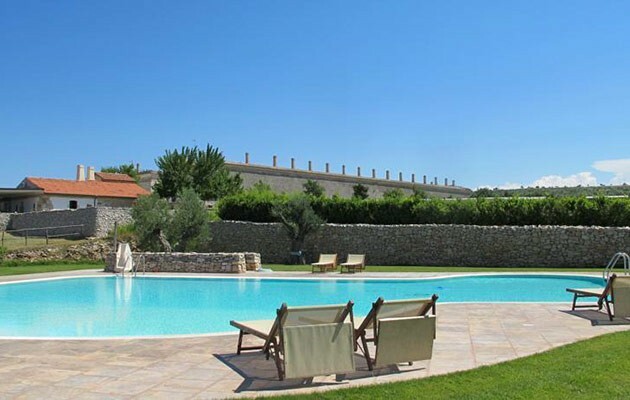 Available for guests are a large library that favours reading and the panoramic outdoor swimming pool (200 sqm). 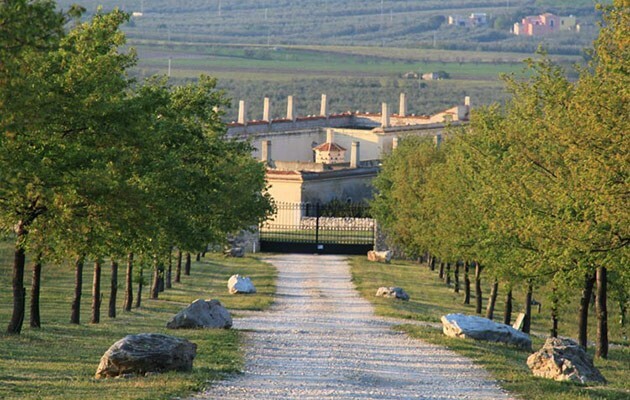 Lama di Luna usually organizes trekking and excursions to Castel del Monte, cultural, archaeological and natural places. 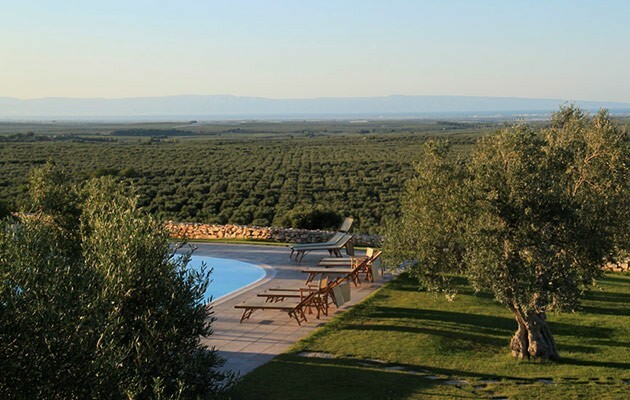 In addition, you may take part in tasting of typical products to discover the flavours of Apulian olive-oil, vine, fruit and vegetables. 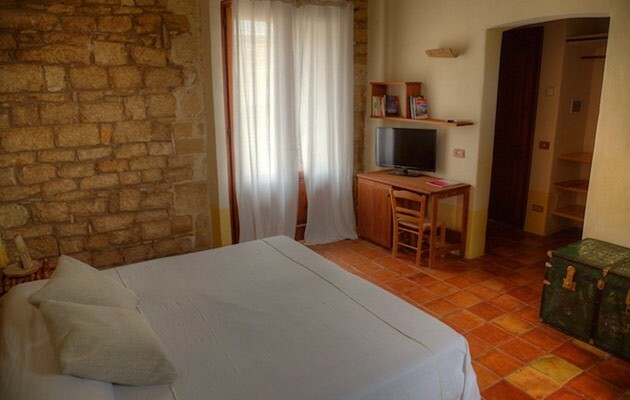 Double rooms with double beds or twin beds made with heart-wood of pine or olive-trees and in natural latex mattress. They are old residence of the farmers, characterized by red or yellow clay, "exposed stone" technique and antique bricks. 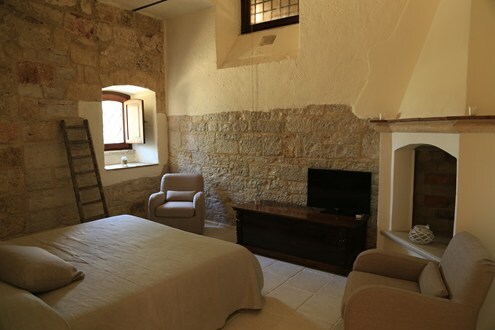 The rooms are equipped with unbleached cotton towels and sheets. 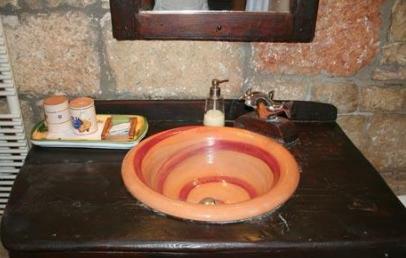 The bathrooms are all with shower and present olive-oil soap. Spacious and bright, they look on the farmyard and all have a fireplace. 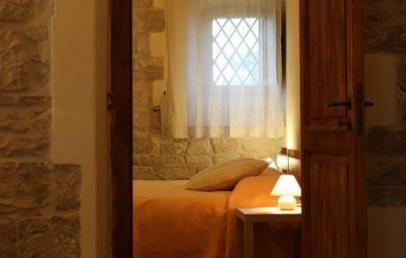 Double rooms with double beds of 1800 brass-made and with natural latex mattress. They are dated back to the 1700 and respected the great rural building tradition. The walls have red and yellow colour because of the exposed stones rich in fossils. 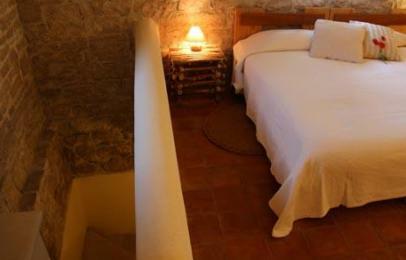 The rooms are equipped with unbleached cotton towels and sheets. The bathrooms are with bathtube and present olive-oil soap. 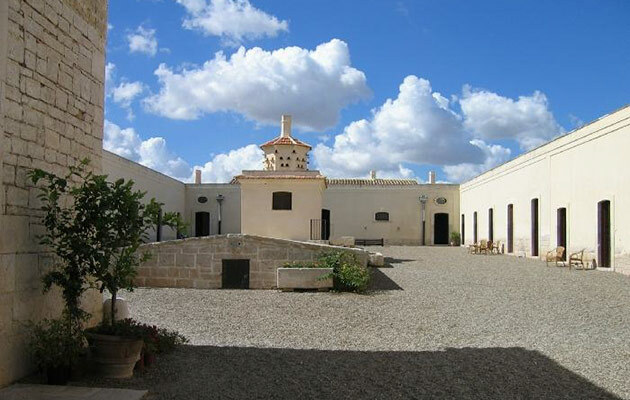 Spacious and bright, they look on the farmyard and all have a fireplace. 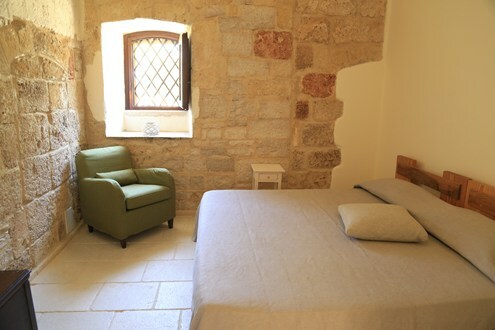 Double room with double beds or twin beds made with heart-wood of pine or olive-trees and in natural latex mattress. 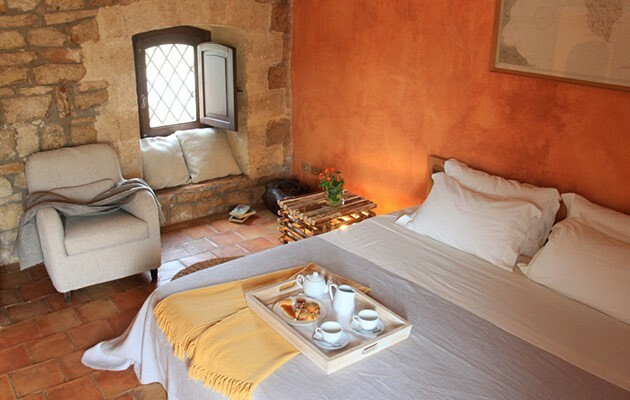 It is an old residence of the farmers, characterized by red or yellow clay, "exposed stone" technique and antique bricks. 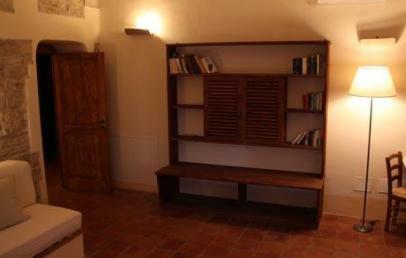 It consists of a living room with fireplace and two single beds and a bedroom with double bed. 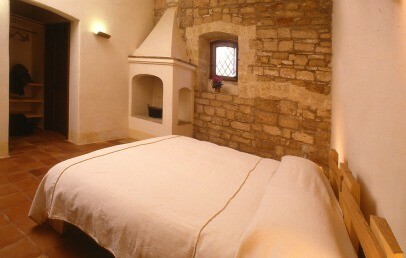 The room is equipped with unbleached cotton towels and sheets. 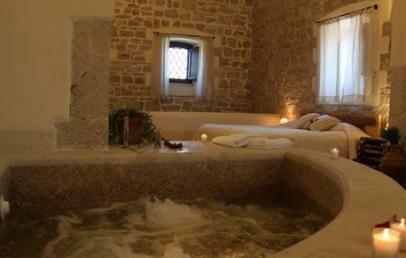 The bathroom has a shower and an air massage bathtub and further more a self made olive-oil soap. 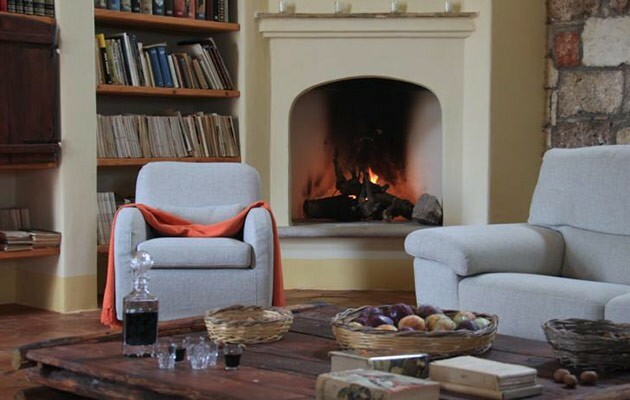 Spacious and bright, they look on the farmyard and all have a fireplace. 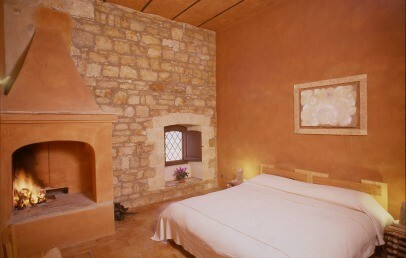 Suite with double beds made with heart-wood of pine or olive-trees, with natural latex mattress and with fireplace. It is an old residence of the farmers, characterized by red or yellow clay, "exposed stone" technique and antique bricks. 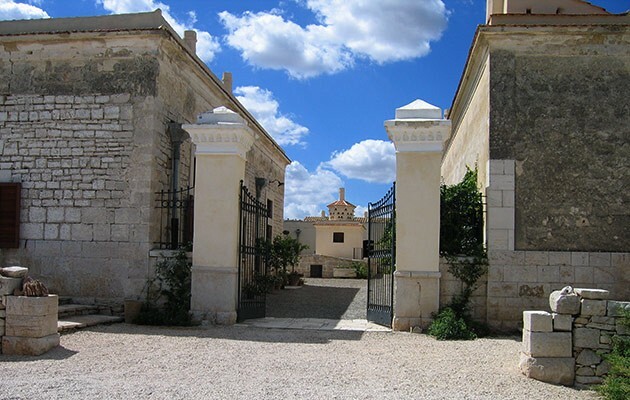 It consists of two rooms divided by an arch of stone. 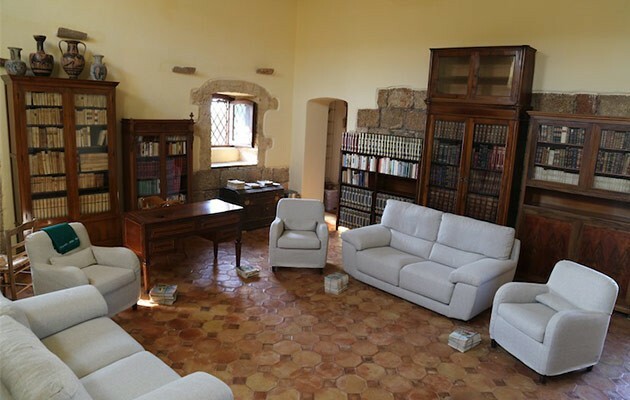 In the living room there are a sofa bed, a library and, in front of the fireplace, a relaxing Jacuzzi. 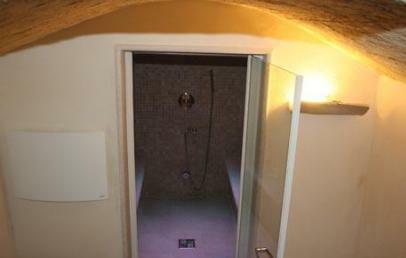 In the private cave there is a Turkish bath and a chromatic shower. 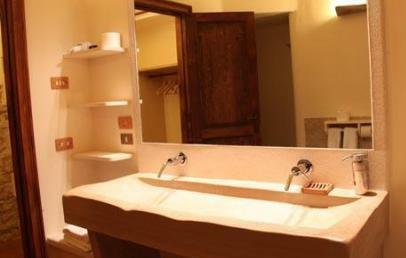 The suite is equipped with unbleached cotton towels and sheets. 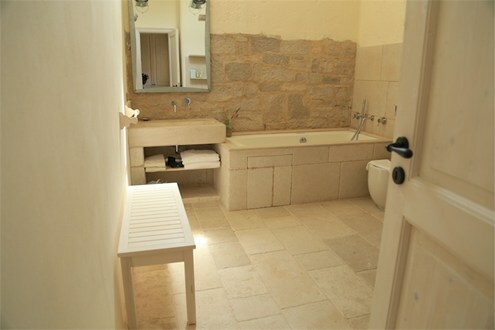 The bathroom has a shower and present olive-oil soap. Spacious and bright, it looks on the farmyard. 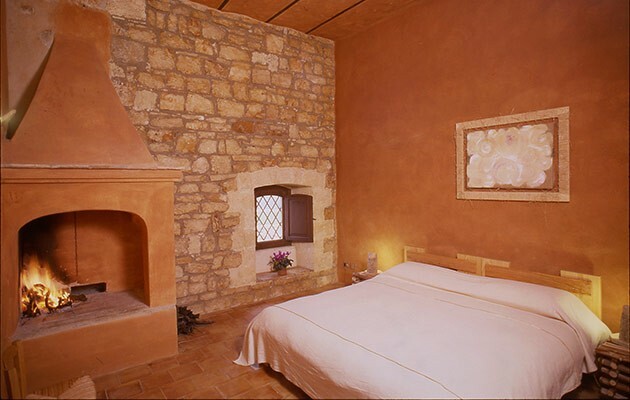 The Suite consists of two bedrooms, one with a fireplace. 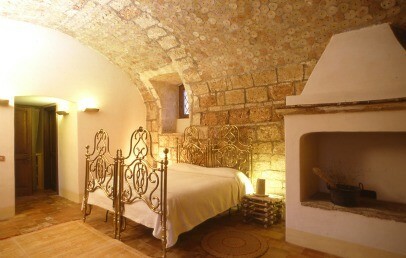 The mattresses are in natural latex and headboard of the beds are made of solid wood pine or olive-tree. 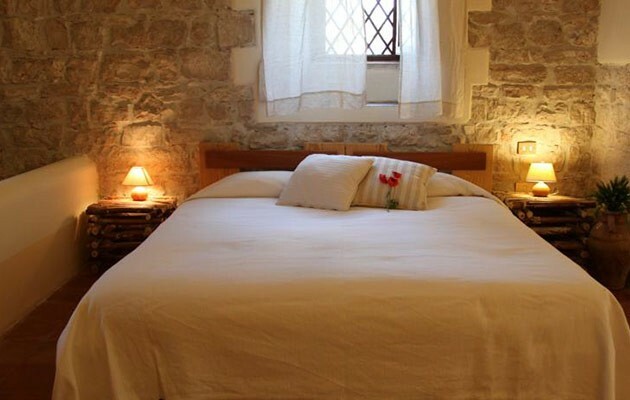 The bed linen and towels are on unbleached cotton, to respect the nature and as in former times. 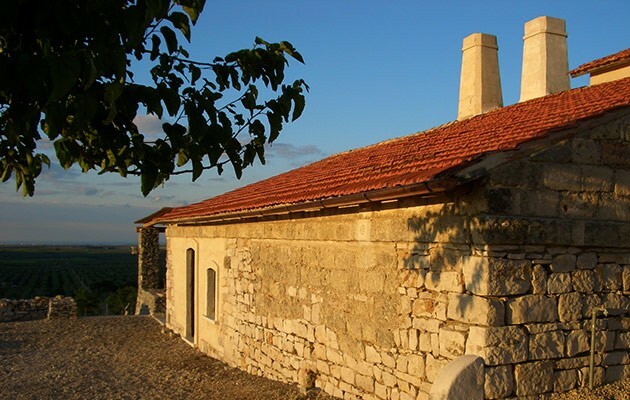 At the entrance there is a large wardrobe and the turkish bath (Hammam). The bathroom has a shower and an aeromassage bathtub.